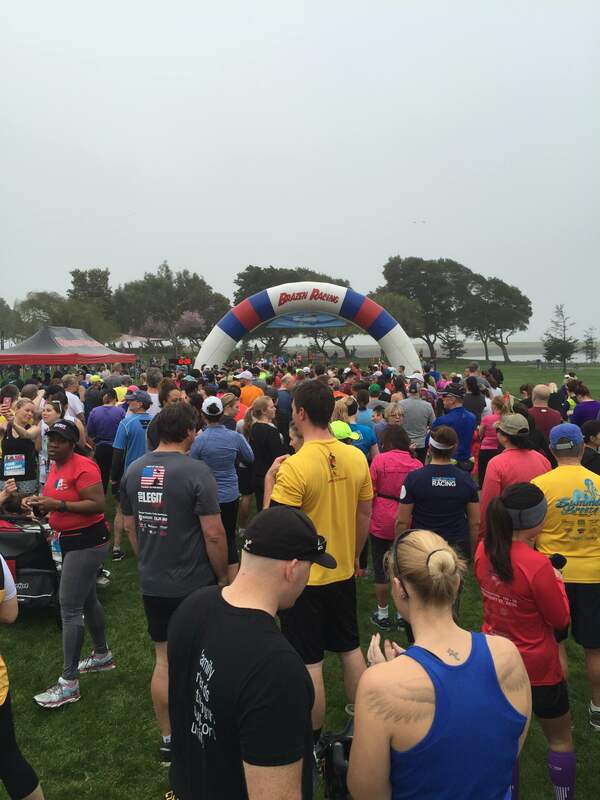 I returned to Aptos for the third year in a row for the 32nd Sandman and was once again thrilled to toe the line. 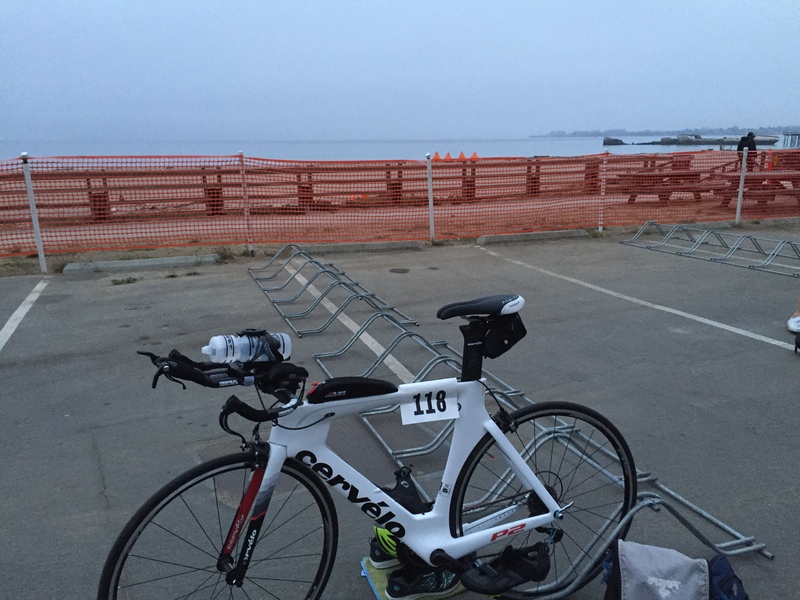 After some upheaval in my day job the week prior, a wedding in Lake Tahoe the day before, and general stress around equipment, cars, and commuting, I was not sure how this race would go at all. The Russian River is an amazing place. The past two winters, while California struggled in a long drought, rainstorms upstream turned Guerneville (former home of the swim start for the Vineman) and Monte Rio into Atlantis – that is, they were momentarily underwater. These towns are used to the river overflowing its banks, however, and are resilient. Monte Rio was quiet as ever (though overrun by a bunch of triathletes) as I prepped for my second Olympic distance race. Ok, Russian River. Let’s do this. 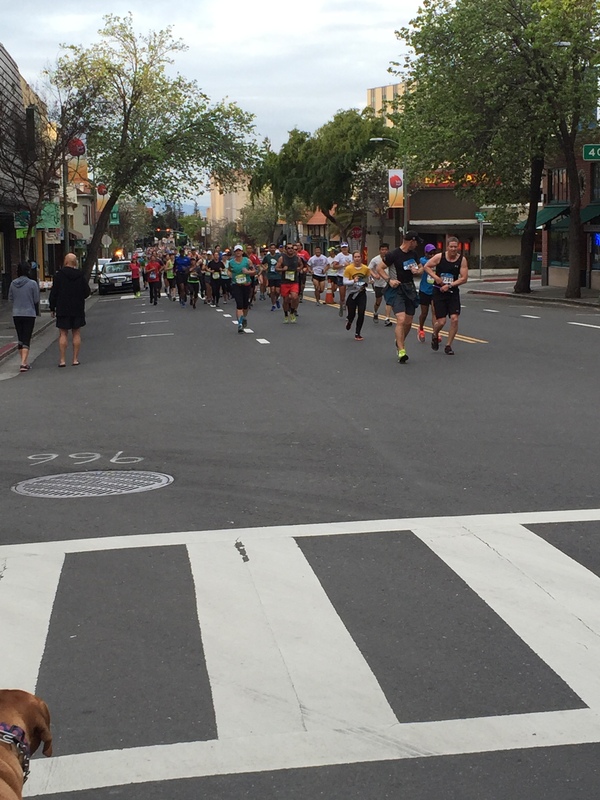 The race was fantastic, but I’ll be honest with you – I was miserable. Not through anything the organizers, volunteers, or other racers did. I have no idea what happened, but I was in pain, I was exhausted, and I hated every second of that run. I was unable-to-walk-sore for a full day, literally parked it on the couch for a full 36 hours afterwards, and have absolutely no explanation for it. 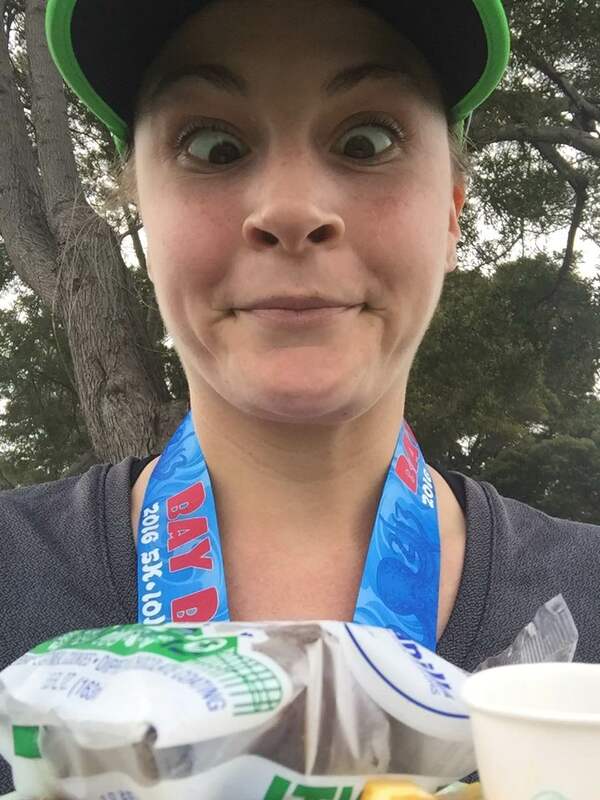 Check out Brazen Racing’s Bay Breeze Half Marathon/10km/5km. Finish: 1:03:07. Well, maybe one explanation: I told myself I was going into this as a training run. So, as you can see, my pace died. I died. It was really hard! Parking: Well, this park simply isn’t made for this many people all driving separately, so parking is a little tight. The organizers warned participants that there’d be a walk, and a walk there was. 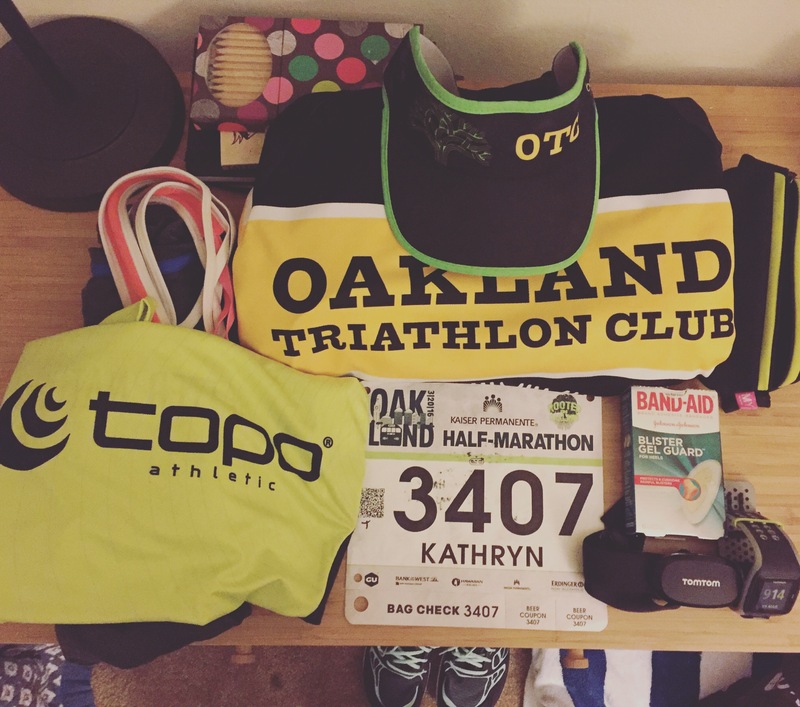 Doesn’t bother me when it’s a running event – were this a tri, it may be a different story (multisport equipment weighs…a little more than running gear!!). I got there early (well, early enough), found parking, and had time to pick up my bib and get going. No biggie. Venue: San Leandro Marina Park is pretty cool. The day of the race was pretty overcast and chilly, but it’s a huge park that I had no idea existed. There’s some hotels, restaurants, and golf courses nearby too. The venue itself seemed plenty large for all the participants. Course: A little background: Brazen is typically a trail run race company. Is the Bay Shore Trail a…trail? Kind of, but it’s paved, so I wouldn’t count it as a real ‘trail’. The organizers offer a hiking division, which is supposed to start before the half marathon for all distances. Then the half marathon starts, then the 10 km, then the 5 km. The out and back course is flat as a pancake, which was pretty nice considering I hate hills with a passion. The trail was wide enough for the most part. 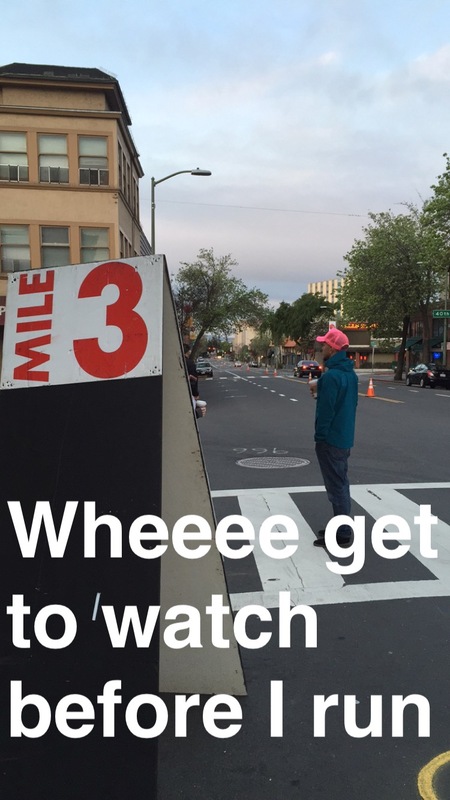 But, as I hit mile 5, I realized I was in for a huge surprise: walkers. Lots, and lots, of 5 km walkers. Walking in 2-, 3-, and yes, I counted, one 7-across packs. Considering I had been on the course for nearly 50 minutes at that point, and they had started 10 minutes back, this seemed like pretty poor planning. But, not race director planning – the organizers had the ‘walking’ division, so maybe it was laziness of the participants? The 5 km started so much later than the walk division they maybe just didn’t want to get up early? I don’t know. I already felt awful and I was upset by this. Otherwise a great course, and if it were more convenient to my house, I’d probably train out there. Volunteers/Support: Fantastic as always. We hit three aid stations on the 10 km, and the volunteers were super nice and surprisingly talented water-passers. Thanks!! 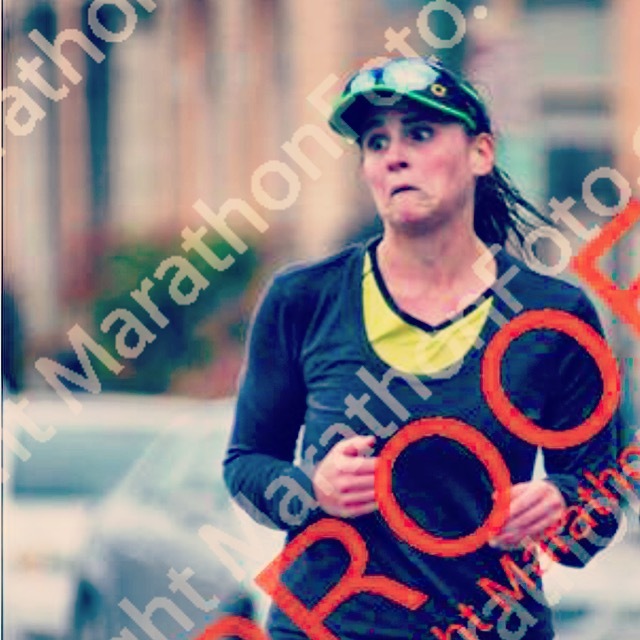 Expo: This was my first race with Brazen, and now I see why they have such a following. So much food. If you have a sweet tooth, you should race with Brazen. Their post-race expos are incredible. Ok, maybe this one was extra special because it was easily accessible to vendors (and not in the hills), but I have never seen a post-race spread of food this huge before. Major highlight? An It’s It before 11 am. I definitely plan on racing in another Brazen event! Super chill, great organization, and they treat their participants really well. Just need to get my new Topo Runventures in the mail! And, I’m sure my teammates will too – several members of OTC were there, including one woman who demolished her goal time of breaking one hour in the 10 km!! No, I’m not asking for your empathy or pity. Just hosting my own little pity party from my bed. So I needed to run 5 miles according to my half marathon plan last week. I didn’t get up in the morning and brought my stuff to work, instead. And forgot socks. I never get blisters, and I’ve put in almost 200 miles on this pair of shoes, and I wound up with a massive (ok, not compared to some of the monstrosities Google can present) blister on my right arch. I’ve been carefully treating the bad boy for several days, and since it lives on the bottom of my foot, there’s very little blood flow and hence… slow recovery. 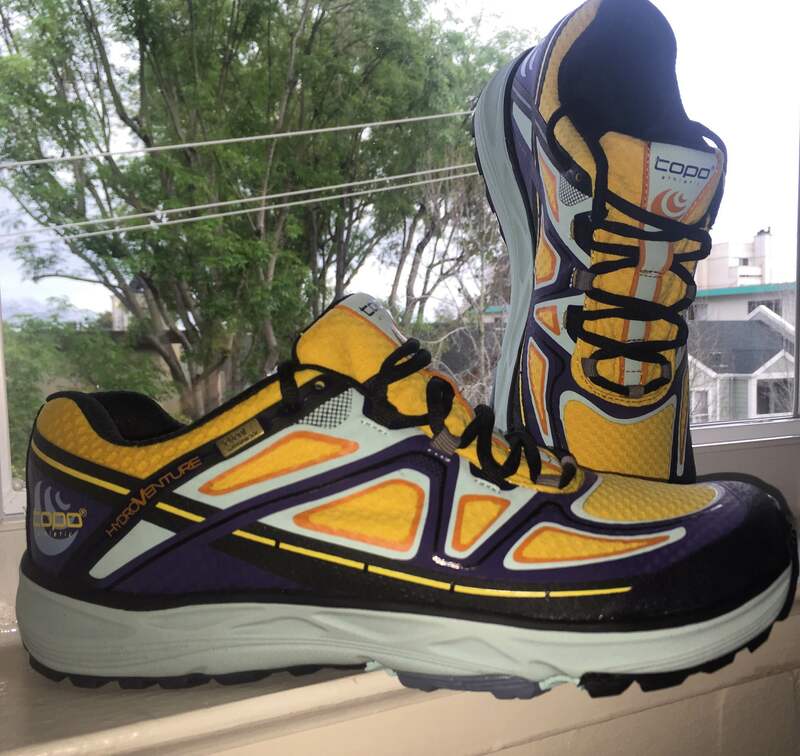 At least I have my new Topo Hydroventures waiting for me to hit the El Nino-soaked trails once I’m better! And, shocker, this morning I discovered that in the process of growing the giant blister, subsequently ripping through the giant blister, and not stopping, I actually had formed another blister within the giant jerkface blister. Yep, read that right: blister on raw foot skin inside blister one. EFFFF that. I’ve got 11 days until the Oakland Half Marathon, so you’d think I’d be training through it, right? Well, nope, because I”m in bed. With the flu. Which has gone around my whole office and I thought I missed. Apparently it only lasts 48 hours, but I’m only on hour 24. Wish me luck.